Qualitec® is always interested in speaking with motivated recruiters. The Qualitec® Family of Independently Owned Companies consists of a group of highly specialized executive search firms. 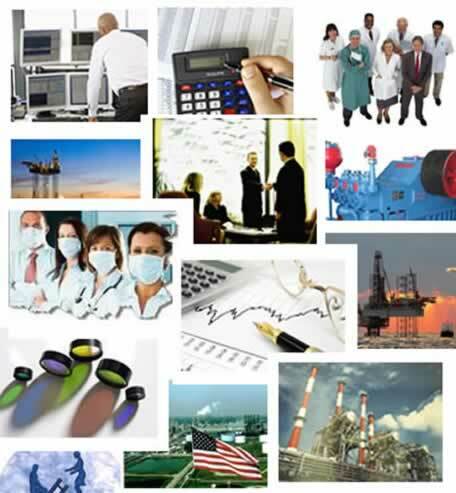 Each company specializes in a specific area of professional and executive search, including engineering, finance, accounting, tax, energy-related services, vacuum coating, healthcare, economics, manufacturing, and paralegal professionals. Headquartered in Houston, Qualitec® employs full-time associates with more than 360 combined years of recruiting and placement experience. Qualitec® is a member of the National Association of Personnel Services and the majority of our employees hold the designation of Certified Personnel Consultant - the highest offered by the professional association. The company is also a member of the Texas Association of Personnel Consultants and the Houston Area Association of Personnel Consultants. To partner with our clients in the creation of the most productive and strategic management possible. If you are interested in leveraging your career in recruiting, contact Qualitec® to discuss our partnership opportunities. If you are interested in leveraging your career in recruiting, contact Qualitec® to discuss our partnership opportunities. The Qualitec® Family of Independently Owned Companies was formed in 1992 by Paul and Nancy Austin to bring to reality their dream to build an organization that would give entrepreneurial individuals in the recruiting industry ownership in their own partnership. This partner ownership is conveyed to exceptional recruiters that have demonstrated the desire, motivation and ethics to lead and train a team of recruiters. Each member of the Qualitec® Family is a separate legal entity with the Managing Partner having responsibility for day-to-day recruiting functions. Included in the member companies is a firm that handles all back-office operations for the members thus freeing the recruiting staff to do what they do best – train, recruit and make placements.